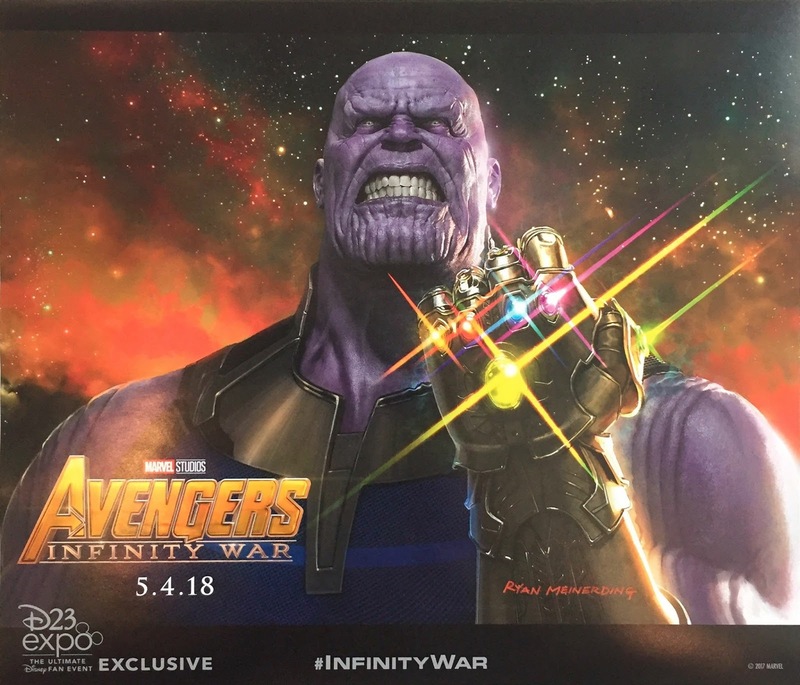 Check out this awesome new Avengers: Infinity War teaser movie poster featuring Thanos, which was given away yesterday at the D23 Expo in Anaheim, CA. There was a ton of news streaming out of The D23 Expo yesterday, including movie accurate, life size statues of Thanos and his children known as the Black Order. Fans in attendance also got to see the Infinity Gauntlet up close and person, as well as what sounds like some amazing footage from Avengers: Infinity War. Not only was this poster given away to fans for free, there was a special signing where select fans were able to have it signed by Thanos himself, Josh Brolin. The Blot cannot wait to see this film on May 4, 2018 when it unites the entire Marvel Cinematic Universe.